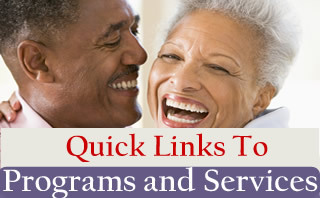 Adult Protective Services The goal of the APS Program is to prevent and remedy the abuse and exploitation of dependent and older vulnerable adults, age 18 and older. Family Caregiver Support The intent of this program is to serve caregivers – spouses, daughters, sons, grandparents, aunts, uncles, or neighbors – that have been providing care on an informal basis. In-Home Supportive Services The IHSS Program is a federal, state and locally funded program designed to help pay for services provided to you so that you can remain safely in your own home. Long-Term Care Ombudsmen Ombudsmen are independent, trained and certified advocates for residents living in long-term care facilities. Multipurpose Senior Services The primary objective of MSSP is to avoid or delay the inappropriate placement of persons in nursing facilities, while fostering independent living in the community. Nutrition Services The Nutrition program includes the procurement, preparation, transportation, and service of balance meals, nutrition education and counseling to older persons at congregate nutrition sites and to homebound individuals. Senior Community Services Employment Program The Senior Community Services Employment Program offers part-time on-the-job training positions to qualified persons. To qualify for the program a person must be at least fifty-five (55) years old, an unemployed resident of San Bernardino County, and meet federal low-income guidelines. 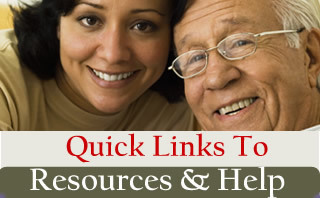 Senior Information and Assistance The Senior Information and Assistance Program provides information and assistance to help a senior citizen solve problems he or she may have.